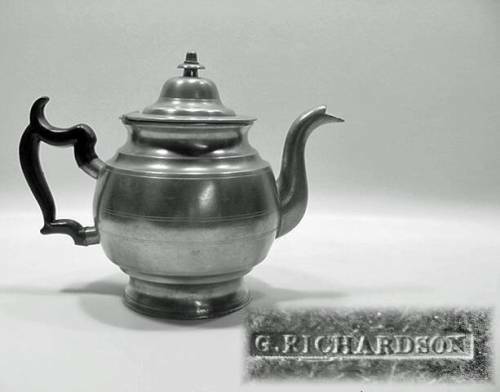 George Richardson worked as a pewterer in Boston, MA from 1818-1828, then moved to Cranston, RI until 1845. 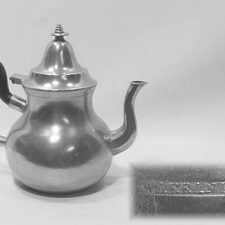 He made many forms including this inverted mold or “double ender” teapot. 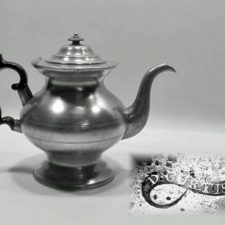 His pewter is very desirable, particularly because of his classic sugar bowl. 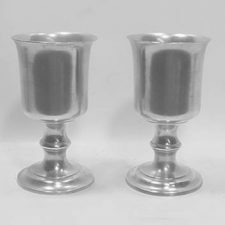 The condition of the pewter and mark is excellent.